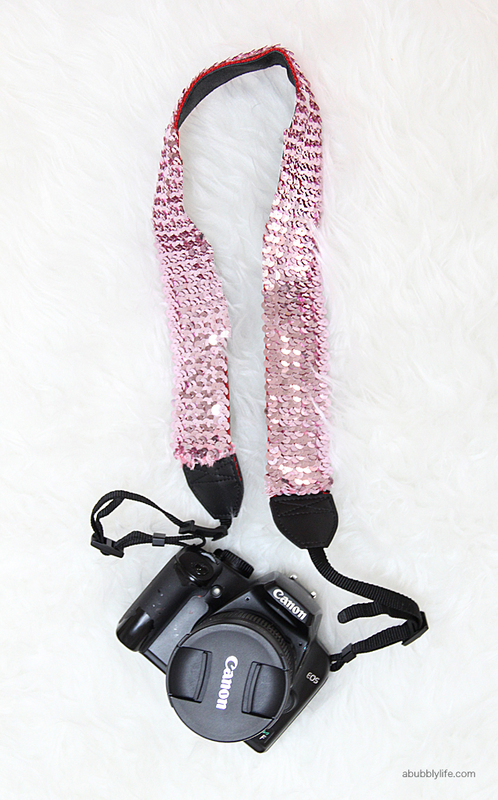 DIY Sequined Camera Strap For Less Than $5! 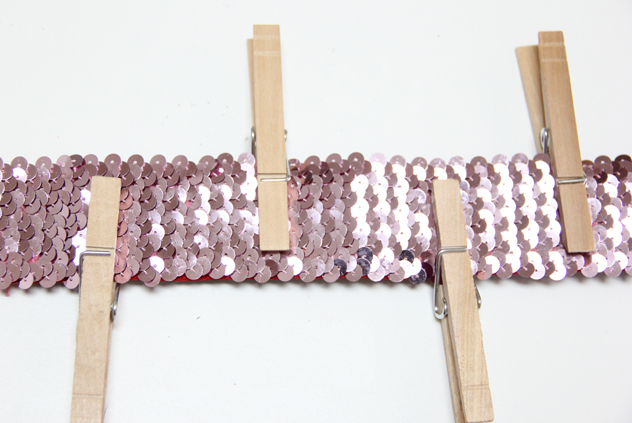 Whoever came up with the original idea of sequins on a camera strap- thank you- you are brilliant! I have seen similar ones on Pinterest, BUT the DIYs for them looked a bit too difficult for me: requiring sewing (I can’t don’t sew) or requiring too many additional supplies (I am cheap frugal). 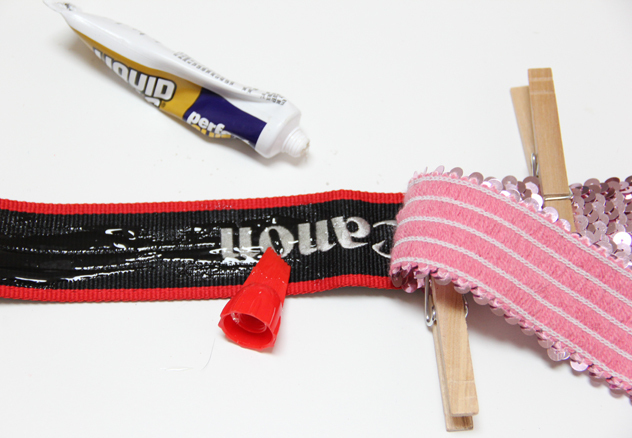 So if you want the look, via the easiest way possible- this is the DIY version for you! 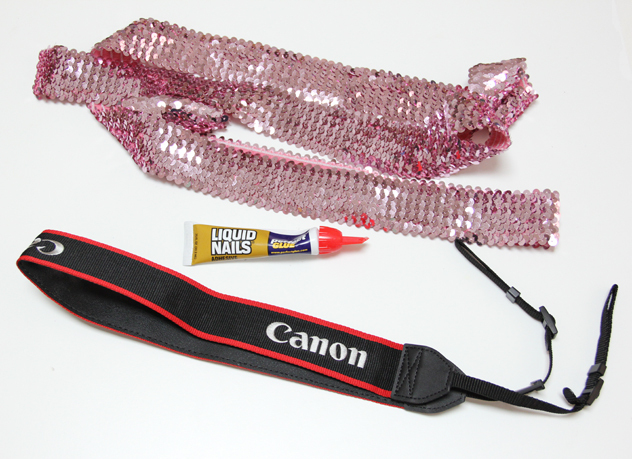 How to Make A Sequin Camera Strap for Less Than $5! Clamp close to cure, I used another go to supply- clothespins. 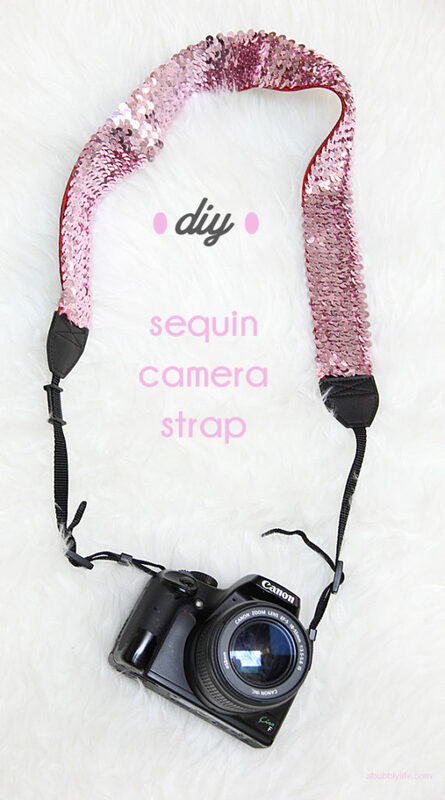 And there you have it, your own sequin camera strap without the hefty price tag! 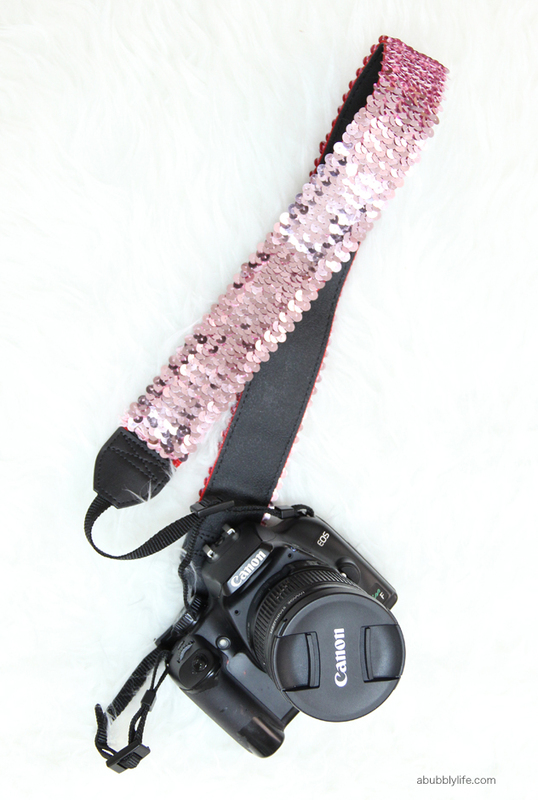 This is my old camera, which broke over the holidays (wahhhhhh), but it made a great model for the sequin camera strap! « I’m Having a Baby!! Guest Posters Wanted!